So it's not just Kristians good looking traitors thats coming along. I got some painting done as well. Some work on my spawns.... they are now pink. 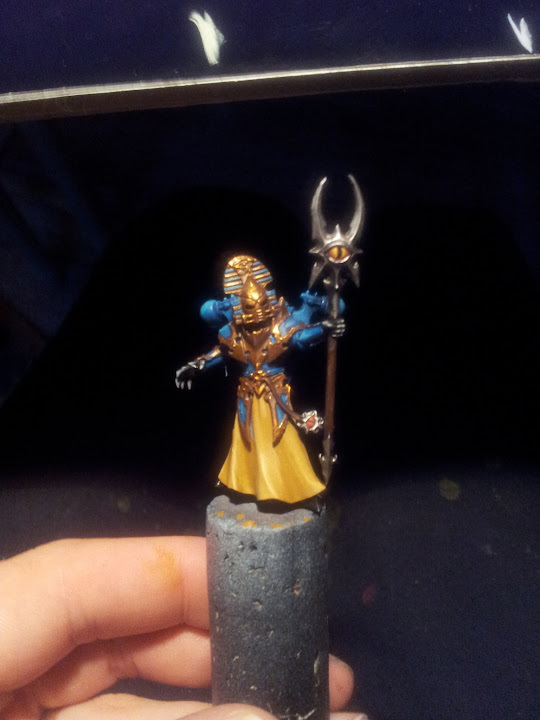 And i'm more or less finished with my aspiring sorcerer. My next goal is the two spawns and the rest of the thousands sons. When it looks so nice I can avoid fire at it. But the rest of your heretic scum will die!